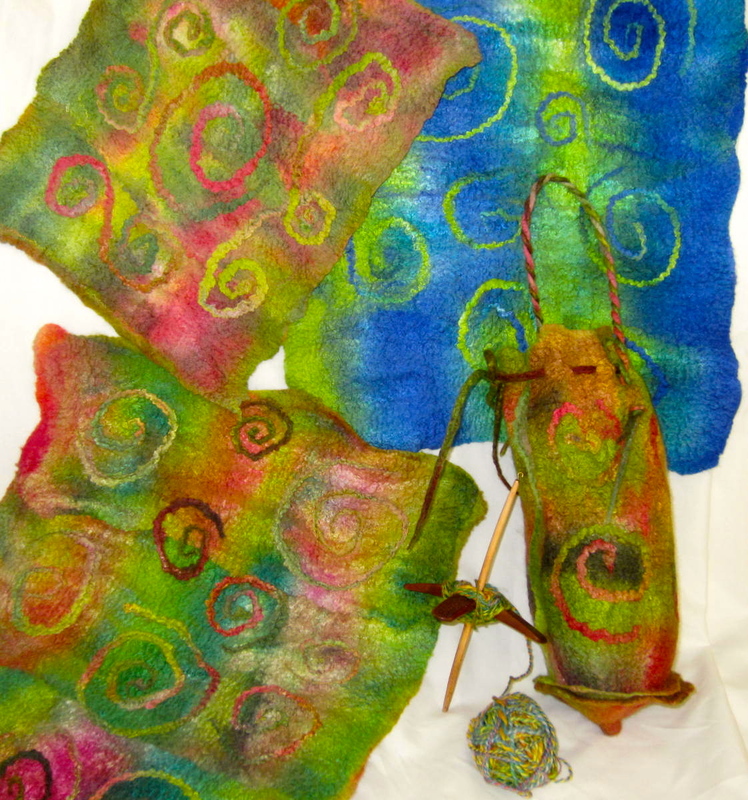 Luscious colors in cuddly-soft merino make up these Drop Spindle Bags. 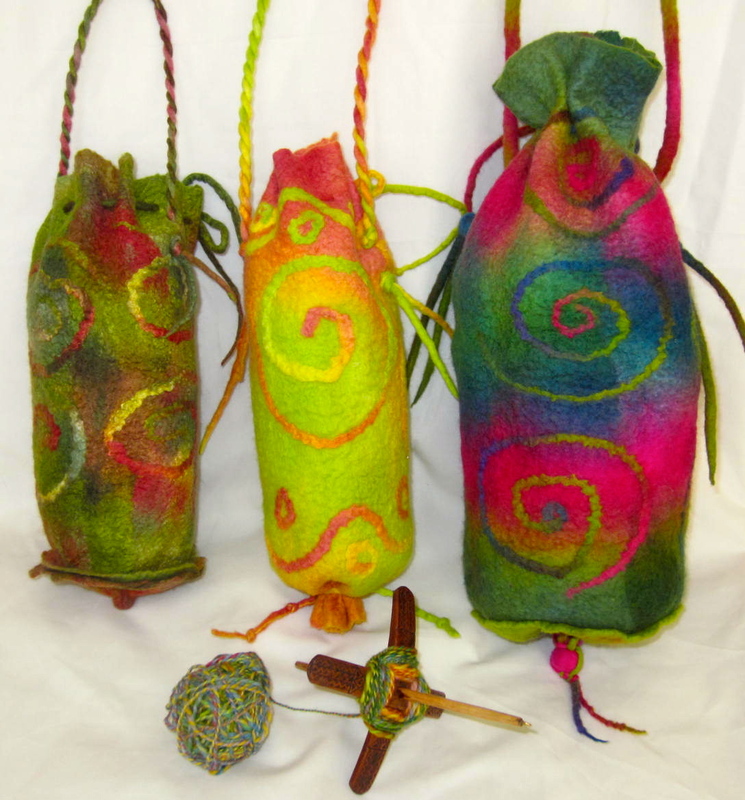 They are a recent creation to answer the needs of a friend who often carries a Turkish spindle with her. Could I make a small-ish bag tall enough to accommodate the spindle shaft, & wide enough she wouldn’t have to disassemble it all for transport if she had spinning-in-progress on it? Could it have a bit of space for the spinning fiber? Could it be unique and pretty too, with a cord long enough for a shoulder bag, but adjustable so she could shorten it? The answers are all YES! Shown above are patches of wool laid out stacked & ready to felt, along with larger finished felt pieces ready for assembly & stitching. 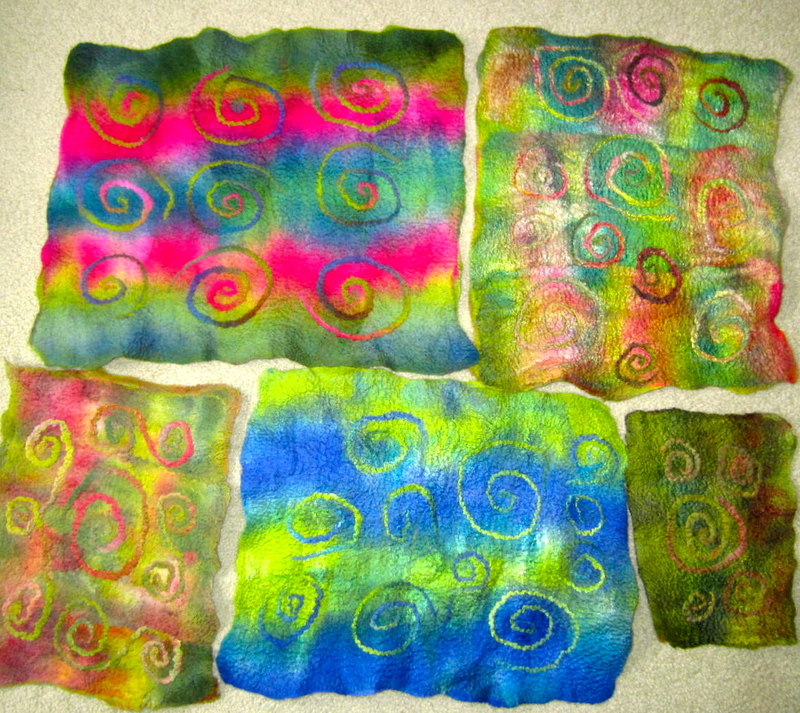 These bags remind me fondly of Dr. Suess, due to their almost freeform, organic nature. Soft edges; no rigidity or straight lines here! The cord holes thru the bag have internal stitched patches for reinforcement, and cords are decoratively twined & knotted. The lumps & bumps & crinkles are all an intrinsic part of felt’s charm, and their cheery colors are captivating. I’ve only had a squeak of time to incorporate this new idea into my booth for Black Sheep Gathering 2013, which means only a half dozen available. 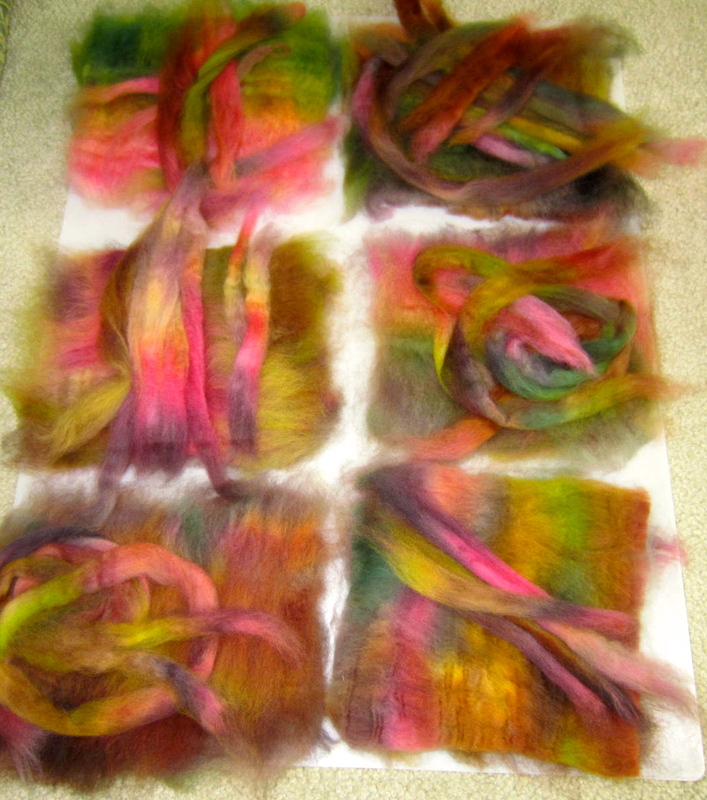 However there will be many more felted Drop Spindle Bags in September, for the Oregon Flock & Fiber Festival!